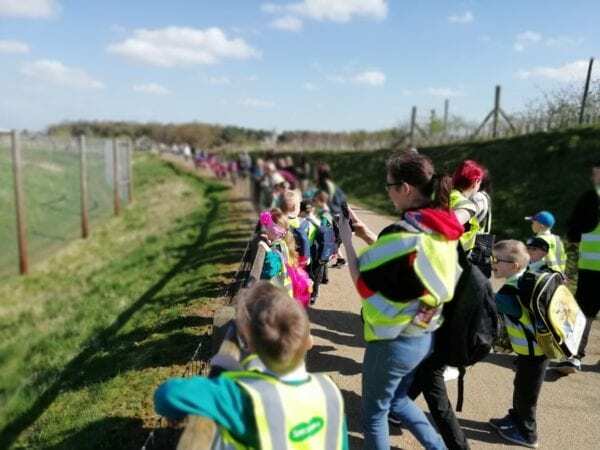 Children in year 1 had the opportunity to explore nature and animals last week as they took a trip to the brilliant Yorkshire Wildlife Park. After an excitable bus journey the children and staff went straight into the park and headed towards the vast array of animals. The meerkats and the majestic lions were favourites for our pupils, with Mrs Pritchett wanting to see the red-bottomed baboons! The wonderful animals were everywhere and children were so excited – many children having never seen them close up before. Some of the star-turns for for both classes were the tigers, the zebras with their unique stripes, and the walk through the lemur enclosure meant that the animals were just feet away from our children – an amazing experience! After an ice cream and a play we finished the day seeing the wallabies and their babies, the hilarious giant otters and the bizarre giant anteater. Everyone had a fantastic day, thanks in part of the wonderful weather, wonderful children and wonderfully helpers. We hope that the experience of seeing these animals close up will remain in the children’s memory for a long time to come.